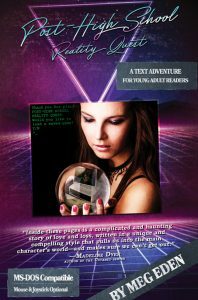 Today I’m shining the Author Spotlight on Meg Eden and her debut novel POST-HIGH SCHOOL REALITY QUEST. 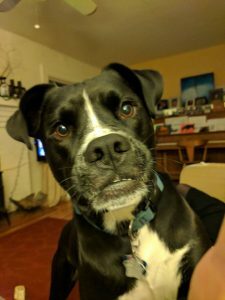 Please tell us a little bit about your book? POST-HIGH SCHOOL REALITY QUEST is about high school graduate Buffy, who is trying to cope with transitioning to college, making life decisions, and the changes in her friend group. During these changes, Buffy starts hearing a text parser narrating her life (e.g., “You are in a room. There is a piano. Exits are: out.”), and feels stuck in this video game that the voice is creating. Is she actually in the game? Is it all in her head? How does she escape? Read the book and find out! One day a friend said to me: “Hey, you should write a novel in the form of a text adventure game.” I honestly didn’t think much of the idea but tried it out one day for fun. Once I started, I got hooked! The original draft of POST-HIGH SCHOOL REALITY QUEST was really just a hot mess with no plot, focusing on the main “group” of friends: Buffy, Merrill, Tristan, Chase and Sephora. It was pretty much just me playing with people I knew and experiences from high school but nothing really happened. When I started playing with the text adventure idea, I tried it on this old draft, and everything came together really fast—I think I finished that draft in about a month. I also got strep like, three times in a row, so I was more or less bed-ridden and writing was the only thing I felt like doing. Since I already knew the characters from the older draft, plugging them into the text adventure framework was easy—and gave their narrative structure. The text adventure format helped induce a plot, as it created a conflict between Buffy and the Text Parser. It ended up making perfect sense: examining a group of friends in video game culture through the lens of a literal game. I write in pieces and I write with a lot of drafts. I write the first ten drafts of a book just getting to know my characters. Then I start trying to figure out what they’re actually doing. If I know my characters in a fully rounded way like real people, it makes it easier to see what they’d do in the situations given by the plot. I can’t plan novels—if I know what’s going to happen in the end, I get bored. My writing, like my reading, is an act of discovery. I do a lot of research for my novels—even ones from largely my own experience. I try to make dates line up (a lot of my writing is in the form of journal entries), and use google maps to “revisit” places I’ve been to write about them more accurately. I try to not let research consume me though, because I totally could let it do that to me. I usually try to research on “down” days where I’m physically and mentally tired. I watch a lot of youtube videos and take notes. I observe, and prepare for when I’m ready to write next. I’ve had a lot of amazing teachers along the way, but I think my writing started with my 8th grade history teacher. She’s the first person I remember commenting that my writing was good, and I felt like she took me seriously as an individual and writer, not just as a “student”. I remember when I went to high school I’d go back and visit her and have all sorts of discussions with her. 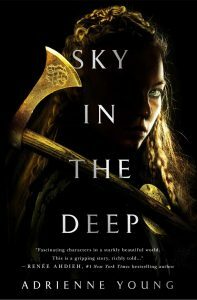 I was inspired by her to work on my very first novel, a project inspired by some of the Saxon history from her class. I think she’s the first person I really shared my stories with. I think POST-HIGH SCHOOL REALITY QUEST would be a great book in particularly the college classroom, but also upper level high school classes. The book deals with quite a range of topics: suicide, eating disorders, coping with change, mental health, faith, alcohol and relationships. I’d love to see this book used to open up conversations about these topics and how they relate to students and readers. These conversations could also lead to freewriting exercises where students can process the book and put themselves into it: which topics resonate with them most, and how do they connect to that topic with their own personal experience? I grew up with a dog named Wolfie, who was around before I was born and passed away when I was in 5th grade. Being an only child, Wolfie was like this rebellious older sister figure to me. She would run away to swim in the neighbor’s pool or the creek. She hunted gophers and chickens and brought them to our house like prizes. She wouldn’t let anyone tell her where she should be, and didn’t pretend that she liked people that she didn’t. I learned a lot from Wolfie. Meg Eden teaches creative writing at the University of Maryland. She has four poetry chapbooks, and her novel “Post-High School Reality Quest” is published with California Coldblood, an imprint of Rare Bird Books. Find her online at www.megedenbooks.com or on Twitter at @ConfusedNarwhal. You can grab a copy of POST-HIGH SCHOOL REALITY QUEST at your local bookstore or online. 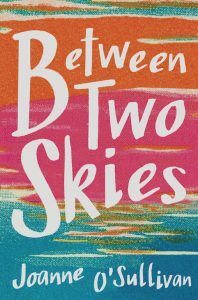 Today I’m shining the Author Spotlight on fellow Class of 2k17 member Joanne O’Sullivan and her debut novel BETWEEN TWO SKIES. Most kids her age can’t wait to get out of tiny Bayou Perdu, a fishing town way, way down in Louisiana. But for sixteen-year-old Evangeline Riley it’s home. 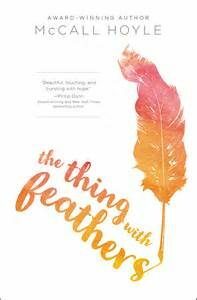 She has her best friends, Kendra and Danielle; her wise, beloved Mamere; and back-to-back titles in the under-sixteen fishing rodeo and above all peace that only comes when she takes her skiff out to where there is nothing but sky and air and water and wings. Then Hurricane Katrina comes, and everything changes. Exiled to Atlanta, she longs for home. But when she meets—and falls for—fellow “refugee” and budding bluesman Tru, she has to decide if home is a person or a place. I went to college at Loyola University in New Orleans and that area holds a special place in my heart. After Hurricane Katrina hit, I really wanted to do something to help. However, I was expecting my son, so I wasn’t able to volunteer for rebuilding. Instead, I read a lot about what was happening: a lot of first-person narratives. I was struck by the teens whose lives were interrupted by the storm. School had either just started or was about to start for many. The year that they though they would have—and for some the life they thought they would have—never happened. I first read Wordsworth’s “Evangeline” when I was in college in New Orleans. This sweeping, melancholy love poem tells the story of a girl in Acadia (now Atlantic Canada) separated from her true love Gabriel on the eve of their wedding as the British forced French speakers out of Canada and they resettle in Louisiana. She relentlessly searches the frontier of the US for him, only to find him when it’s too late. The heroine of this story, Evangeline, is legendary in Louisiana. When I read about the many people displaced by Katrina, I couldn’t help but connect the Acadians—exiled hundreds of years before—to this new catastrophe, this new exodus for some of their descendants. A new Evangeline and a new Gabriel took shape in my mind: Evangeline Riley, whose family’s fortunes are so entwined with the land and sea, and Tru Nguyen, whose family has endured exile before as war pushed them out of Vietnam. 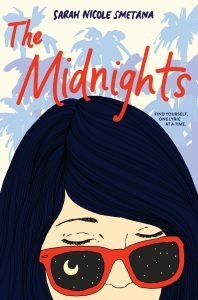 Like characters in the story that inspired them, they are caught up in circumstances beyond their control and driven out of the diverse and soulful place that is Southern Louisiana. Their lives are broken and bent into new shapes. The way they respond to this upheaval will determine their futures. I typically start with a certain character or scene that’s intriguing to me and build out from there. I am a journalist as well, so I love research; so much so that I need to stop myself at some point so that I don’t lean to far into non-fiction! Once I’ve got some scenes written and the characters have introduced themselves to me I start to think about plot- where are we going with this? This may not be the most efficient way to write a novel, but that’s the way it happens for me! My elementary school librarian Mrs. Johnson was a big influence in my life! At my school, being athletic was much more the norm than being bookish. Mrs. Johnson always welcomed me and found new books that she knew I would like, so the library felt more like home to me than any other part of the school. My second grade teacher Mrs. Hale also encouraged me to write and her encouragement stayed with me for a long time! BETWEEN TWO SKIES helps to show the more human side of one of the biggest natural disasters in American history, Hurricane Katrina. While reading nonfiction and historical accounts helps us understand it on one level, fiction helps readers to understand it on the emotional level. I would love it if teachers used BETWEEN TWO SKIES to show how historical events can be brought to life in fiction. But it’s also an all-around coming-of-age, family and love story! I’m a little dog obsessed, too! My favorite real dog is, of course, my family dog Biscuit. He adopted us one weekend when we were visiting a friend’s weekend house. He arrived on the driveway and basically never left us again. We tried to find an owner, but no one came forward so he became our pup. He’s a bit shy with strangers, but he’s such a loving guy with us. He’s not the smartest dog in the world, but we think he’s the sweetest! Joanne O’Sullivan introduces fascinating people and places to readers through books, articles and blog posts. 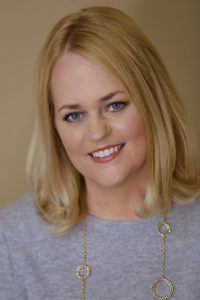 Her award-winning science, sustainability and travel books for kids include “Migration Nation” (Charlesbridge, 2015) and the 101 Before You’re 12 series. She has lived in a sixteenth-century Italian palazzo and a modern Korean high-rise, but now calls beautiful Asheville, North Carolina home. When she and her environmental activist husband and artistic kids aren’t out in the woods, she’s usually planning her next big trip to faraway places. 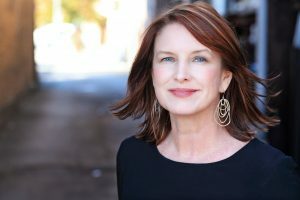 Visit her at www.joanneosullivan.com or on Twitter and Instagram at jkosullian1. 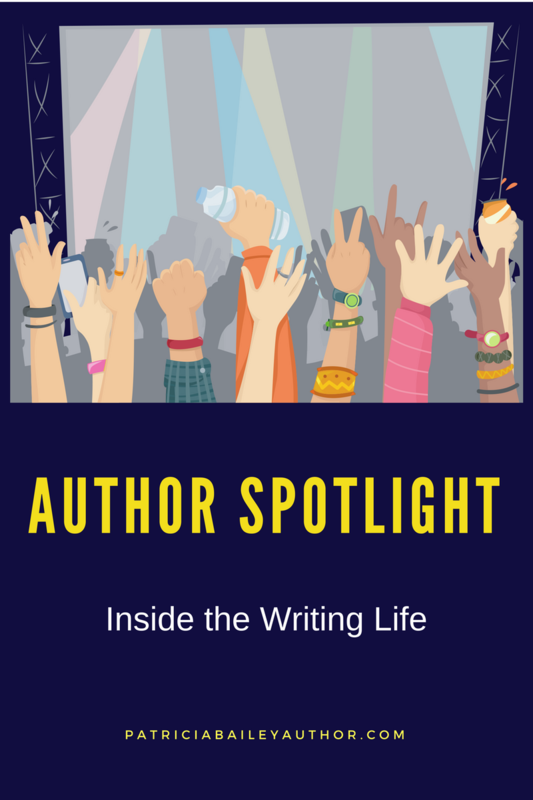 Author Spotlight: Shaila Patel Talks About Soulmated. It’s Valentine’s Day so I decided to get a little lovey-dovey here on the blog. 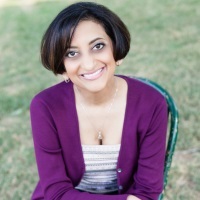 <3 Today I’m shining the Author Spotlight on Shaila Patel and her debut YA romance novel SOULMATED. 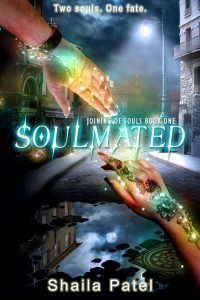 Soulmated is an #ownvoices teen paranormal romance about an Irish empath prince named Liam Whelan who is forced to search for his empath soul mate by his father. The rare union will solidify the Whelan family’s political power and standing, but Liam couldn’t care less. When they come to America in search of this elusive soul mate, Liam falls for a non-empath, Laxshmi Kapadia, and has to decide just what he’ll sacrifice to be with her. I’d been thinking of how emotionally perceptive my mom was one day and thought that if there were such a thing as an EQ test (where the E stood for emotional intelligence), my mom would score through the roof. She’s always had this uncanny ability to read my feelings, so naturally, my writer-mind imagined what it would be like if empaths (people who read emotions) really existed. I’m a pantser-plotter hybrid. For those of you who don’t know what pantsing is, it’s the process of writing where you just write your story, without an outline and without any plans. The story tends to develop more organically, but it also leads to a lot more editing for me once the draft is done. So, instead, I plan out a rough sketch of the story as a loose outline. Then I “pants” or free-write individual sections, and when my thoughts get too jumbled or the details get too difficult to juggle, I write up a more detailed mini-outline of the next few chapters so I don’t lose all my story threads. Soulmated is an #ownvoices novel, which means it portrays a diverse character like me, an Indian-American. Young readers might assume that if a character doesn’t look like them, they wouldn’t be able to relate. By reading #ownvoices novels, it teaches them that regardless of race, color, or religion—or anything else represented by a marginalized group—people have the same emotions, fears, goals, and needs as anyone else on the planet. Reading diverse fiction is a critical piece in teaching empathy and breaking down the “us vs. them” mentality. 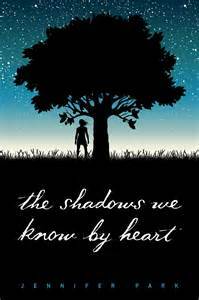 Presenting this “lesson” as entertaining fiction rather than a study in diverse characters might make it more accessible to young readers if they’re entertained at the same time. I don’t have a dog right now, but oh my god…I can’t stop watching those adorable videos of teacup puppies! Have you seen them? Drop everything and check them out on YouTube. Now. Go. You’ll thank me later! Lol! Shaila is a pharmacist by training, a medical office manager by day, and a writer by night. Her debut multicultural paranormal romance, Soulmated, won first place in the Young Adult category of the 2015 Chanticleer Book Reviews Paranormal Awards. A member of the Romance Writers of America, she enjoys traveling, craft beer, tea, and loves reading books—especially in cozy window seats. 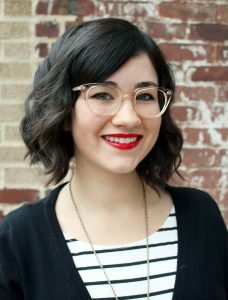 You might find her sneaking in a few paragraphs at a red light or connecting with other readers online. Thank you, Shaila and Happy Valentine’s Day. 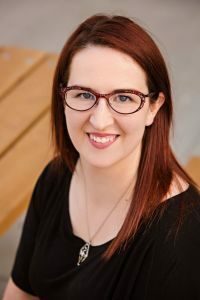 Breeana Shields and her debut novel POISON’S KISS. Poison’s Kiss is about a girl who can kill with a single kiss. Since childhood, she’s served the Raja as one of his most lethal assassins. But when she receives orders to kiss a boy she knows—a boy she’s sure doesn’t deserve to die—she starts to question who she’s really working for. And that thread, once pulled, will unravel more than she can afford to lose. I often get ideas for books when I’m learning about something totally unrelated. It’s one of the reasons I love museums, classes, and documentaries. In this case, I was listening to a lecture on espionage and the professor mentioned something in passing—a legendary figure in Indian folklore called the poison damsel—that sent my imagination on a lengthy tangent. I didn’t hear the rest of the lecture, but I did walk away with a new book idea. I usually start a new project with a basic premise, a few major turning points, and rough idea of the ending. From there, I just dive in, start writing, and let the story unfold organically. Often it turns out very differently than the version I had in my head when I first started. Once I have a draft, I can edit to make sure that the final product is a satisfying story. My writing teacher in high school, Mr. Beck, had a huge influence on me as both a writer and a person. He started out as my sophomore honors English teacher, but he also taught journalism and encouraged me to join the newspaper staff. Once I did, I was completely hooked. I had always loved writing, but getting to write every day, to decide on topics and layouts, and most of all, to have readers was more satisfying than anything else I’d experienced up to that point. Some of my happiest memories of high school are being in the newspaper lab late at night with my friends, all of us rushing to get the next issue out on time. I loved printing out an article, feeding it into the wax machine and pasting it up at the light table only to immediately savage it with a blue editing pencil and decide I needed to start all over. Mr. Beck demanded the best of his students and he didn’t tolerate anything less. Other teachers gave me a lot of praise for my writing—and they were instrumental in building my confidence—but Mr. Beck wasn’t so easily impressed. He challenged every weakly-written sentence, called out every bit of lazy writing, and always pushed me to do better. I still remember how thrilling it was to get an assignment back with the words, “solid writing” at the top of the page. From him that was high praise. I probably would have found my way into a writing career even without Mr. Beck—I think it’s in my blood—but it would have taken a lot longer to hone the skills I needed to succeed. 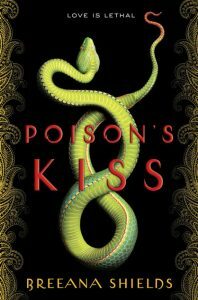 I think Poison’s Kiss could be used in the classroom in a number of ways—as a jumping off point for discussing mythology, as an exploration of medicine and the different ways toxins affect the body, or as a character study in what people do when placed in morally complex situations. I’m also a huge fan of literature circles, where small groups of students who all read the same novel and then gather in class to discuss together. I’ve had the opportunity to volunteer to lead a few lit circles, and it was a complete joy. I love listening to students read something they chose themselves and hear their smart observations and spirited debates. 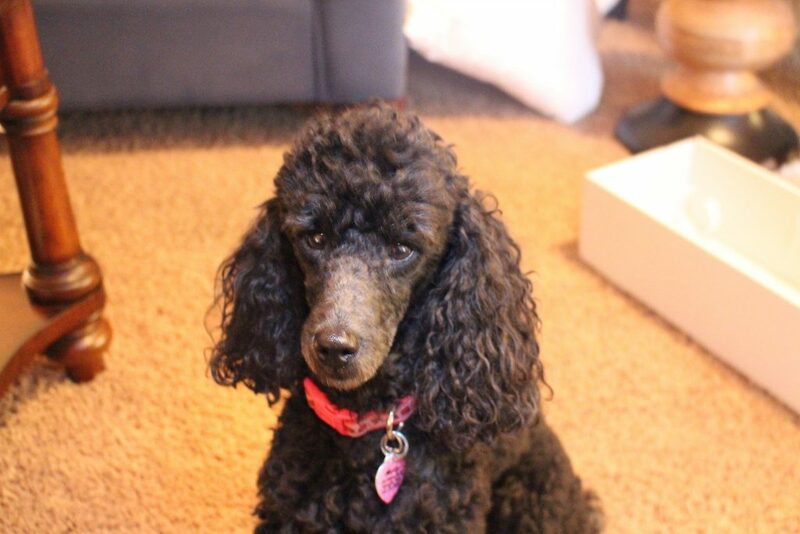 I have an adorable miniature poodle named Molly. I call her my Velcro dog because she sticks to my side, following me from room to room throughout the day. She’s also really smart—she can dance on command and walk across the entire length of a room on her hind legs (as long as there’s peanut butter waiting at the other end.). And she has an uncanny sense of my schedule. As soon as my kids leave for school, she curls up under my desk ready to start our writing day. 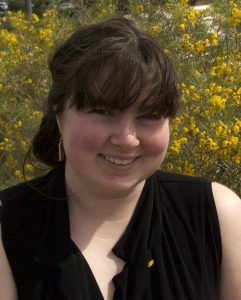 Breeana Shields has a BA in English from Brigham Young University and is an active member of SCBWI. 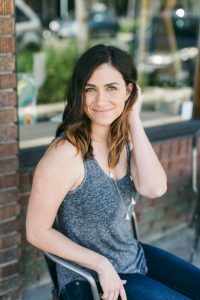 When she’s not writing, Breeana loves reading, traveling, and spending time with her husband, her three children, and an extremely spoiled miniature poodle. Visit her online at breeanashields.com or follow her on Twitter at @BreeanaShields. 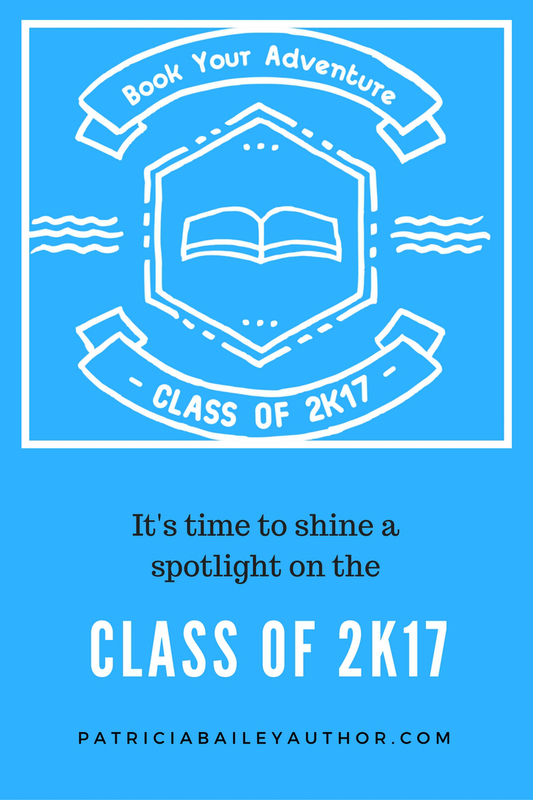 It’s hard to believe that Class of 2k17 member Tiffany Jackson is a debut author and that ALLEGEDLY is a debut novel. Which is why I was thrilled when Tiffany’s e-ARC ended up in my inbox. Just one of the many perks of being part of the super terrific debut group, Class of 2k17. Have I mentioned how lucky I am? I read ALLEGEDLY over the course of a week – trying to make it last. It’s simply amazing. Dark and twisty and totally mind-bending. Thriller fans are going to eat this novel up – and people who don’t usually read thrillers are going to love the complex and heartbreaking character of Mary and the girls in her group home. A stunning debut. Dark. Heartbreaking. Powerful. Mary is a wonderfully complex character. Her story will catch you by the throat and not let you go until you’ve read the entire novel – and she’ll stay with you long after you’ve finished. The author, Tiffany Jackson, paints a unflinching portrait of our juvenile justice system while telling a compelling story – drawing you into Mary’s world, and making you question right, wrong, and everything in between. A true thriller from the start. A complex and compelling character. A thrilling read that will keep you second guessing what you know. A great example of building suspense and maintaining it. An examination of complex narrators. 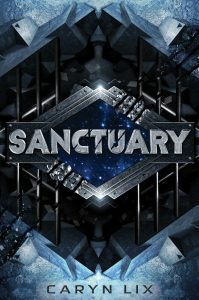 A rich jumping off place for discussion about juvenile justice, good, evil, and all the places in between. Lucky for all of us, we won’t have to wait long to get this book in our hands. ALLEGEDLY’S launch date is January 24, 2017, and it’s available for pre-order now.